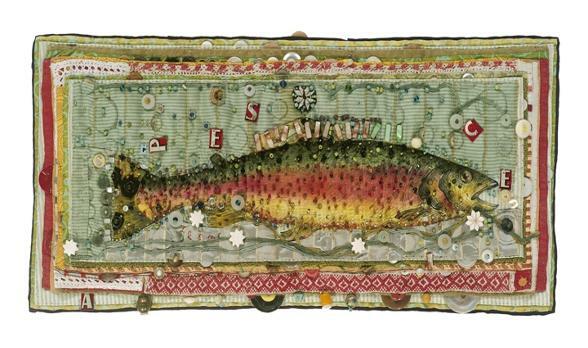 Very detailed hand painted fish embellished with river stones, cut tin letters, buttons and beads. Fabric layered and woven with ribbons. Original in approximately 12” x 24”. Signed, numbered giclees available in various sizes.